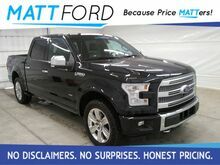 Shadow Black 4D SuperCrew EcoBoost 3.5L V6 GTDi DOHC 24V Twin Turbocharged 10-Speed Automatic 4WD 20" Polished Aluminum Wheels, Active Park Assist, Adaptive Cruise Control & Collision Warning, Automatic temperature control, Blind spot sensor: BLIS warning, Equipment Group 701A Luxury, Extended Range 36 Gallon Fuel Tank, Front Bucket Seats, FX4 Off-Road Package, Heated front seats, Heated rear seats, Lane-Keeping System, Pro Trailer Backup Assist, Technology Package, Trailer Tow Package, Twin Panel Moonroof, Ventilated front seats, Voice-Activated Navigation. 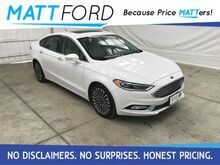 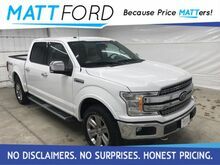 Oxford White 4D SuperCrew EcoBoost 3.5L V6 GTDi DOHC 24V Twin Turbocharged 10-Speed Automatic 4WD, BLIS Blind Spot Information System, Chrome Angular Step Bars, Equipment Group 501A Mid, Heated front seats, Lariat Chrome Appearance Package, Leather-Trimmed 40/20/40 Front Seat, Memory seat, Remote Start System w/Remote Tailgate Release, Ventilated front seats, Wheels: 20" Chrome-Like PVD. 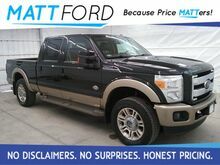 Green Gem Metallic 4D Crew Cab Power Stroke 6.7L V8 DI 32V OHV Turbodiesel TorqShift 6-Speed Automatic with Overdrive 4WD 20" Premium Cast Aluminum Wheels, Accent-Color Illuminated Angular Running Bars, Automatic temperature control, Engine Block Heater, FX4 Off-Road Package, GVWR: 10,000 lb Payload Package, Heated Rear Seats, King Ranch Package, Navigation System w/HD & Satellite Broadcast, Order Code 608A, Power Moonroof, Remote Start System, Unique King Ranch Leather 40/Console/40 Front Seats. 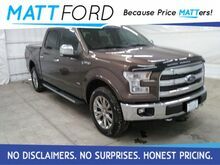 Caribou Metallic 4D SuperCrew EcoBoost 3.5L V6 GTDi DOHC 24V Twin Turbocharged 6-Speed Automatic Electronic 4WD 2nd Row Heated Seats, Automatic temperature control, BLIS Blind Spot Information System, Chrome Angular Step Bars, Equipment Group 502A Luxury, GVWR: 7,000 lbs Payload Package, Hard Tonneau Pickup Box Cover, Heated front seats, Lariat Chrome Appearance Package, Leather-Trimmed Bucket Seats, Memory seat, Remote Start System, Reverse Sensing System, Technology Package, Ventilated front seats, Voice-Activated Navigation, Wheels: 20" Chrome-Like PVD. 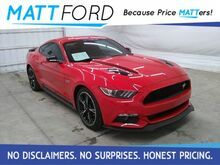 2016 Ford Mustang GT Premium California Special with the ROUSH STAGE 2 Super Charger Upgrade. 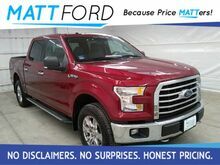 Race Red 2D Coupe 5.0L V8 Ti-VCT 6-Speed Manual RWD, Climate Controlled Heated/Cooled Front Seats, Enhanced Security Package, Equipment Group 401A, Exterior Parking Camera Rear, Leather/Miko Suede Seating Surfaces, Shaker Pro Audio System, Voice-Activated Touch-Screen Navigation System, Wheels: 19" Ebony Black Painted Machined Alum. 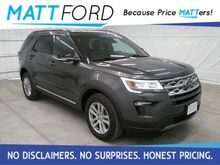 Shadow Black 4D Sport Utility 3.5L 6-Cylinder SMPI Turbocharged DOHC 6-Speed Automatic with Select-Shift FWD Exterior Parking Camera Rear, Heated front seats, Heated rear seats, Navigation System, Power Liftgate, SYNC 3 Communications & Entertainment System, Ventilated front seats, Wheels: 20" Premium Luster Nickel-Painted Aluminum. 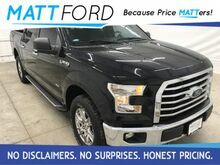 Shadow Black 4D SuperCrew EcoBoost 3.5L V6 GTDi DOHC 24V Twin Turbocharged 6-Speed Automatic Electronic 4WD, 10-Way Power Driver's & Passenger Seats, Chrome Step Bars, Cloth 40/20/40 Front Seat, Equipment Group 302A Luxury, Heated Front Seats, Integrated Trailer Brake Controller, Rear View Camera w/Dynamic Hitch Assist, Remote Start System, SYNC Voice Recognition Communications, Twin Panel Moonroof, Wheels: 18" Chrome-Like PVD, XLT Chrome Appearance Package, Very Nice One Owner truck. 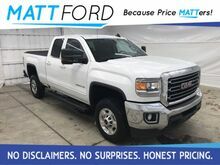 Summit White 4D Double Cab Vortec 6.0L V8 SFI Flex Fuel VVT 6-Speed Automatic HD Electronic with Overdrive RWD 10-Way Power Driver's Seat Adjuster, Dual-Zone Automatic Climate Control, Front 40/20/40 Reclining Split-Bench Seat, HD SLE Preferred Plus Package, Rear Vision Camera, Remote Vehicle Starter System, Trailer Brake Controller. 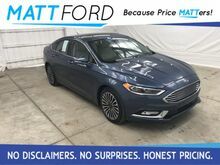 Blue Jeans Metallic 4D Sport Utility 2.3L I4 EcoBoost 6-Speed Automatic with Select-Shift FWD 3rd Row Seat, Backup Camera, Bluetooth, Hands-free, Heated Seats, Keyless Entry, Leather Seats, Navigation, Power Locks, Power Windows, Premium Audio, Premium Wheels, Steering Wheel Controls, 18" Painted Aluminum Wheels, 2 Driver Configurable 4.2" Color LCD Displays, Auto-Dimming Rear-View Mirror, BLIS Blind Spot Information System, Comfort Package, Driver Connect Package, Dual-Zone Electronic Automatic Temperature Ctrl, Equipment Group 202A, Forward Sensing System, Hands-Free Foot-Activated Liftgate, Heated Steering Wheel, Leather Heated Bucket Seats, Power driver seat, Power passenger seat, Radio: AM/FM Stereo w/Single-CD/MP3 Capable, Remote Start System, SYNC 3 Communications & Entertainment System, SYNC Communication & Entertainment System. 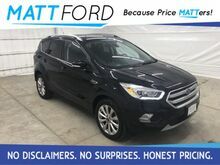 Shadow Black 4D Sport Utility EcoBoost 1.5L I4 GTDi DOHC Turbocharged VCT 6-Speed Automatic 4WD, Blind spot sensor: warning, Exterior Parking Camera Rear, Heated Leather-Trimmed Buckets w/60/40 Rear Seat, Memory seat, Power Liftgate. 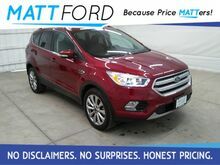 Ruby Red Metallic Tinted Clearcoat 4D Sport Utility EcoBoost 2.0L I4 GTDi DOHC Turbocharged VCT 6-Speed Automatic 4WD Automatic temperature control, Equipment Group 400A, Exterior Parking Camera Rear, Heated Leather-Trimmed Front Bucket Seats, Memory seat, Power Liftgate, Voice-Activated Touchscreen Navigation System. 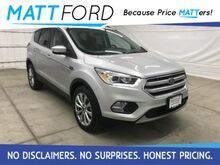 Ingot Silver Metallic 4D Sport Utility EcoBoost 2.0L I4 GTDi DOHC Turbocharged VCT 6-Speed Automatic 4WD Active Park Assist, Automatic temperature control, Exterior Parking Camera Rear, Heated Leather-Trimmed Front Bucket Seats, Memory seat, Panoramic Vista Roof, Power Liftgate, Voice-Activated Touchscreen Navigation System. 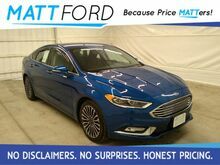 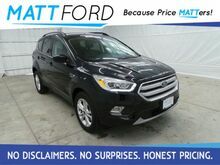 Shadow Black 4D Sport Utility EcoBoost 1.5L I4 GTDi DOHC Turbocharged VCT 6-Speed Automatic 4WD Escape SEL, Equipment Group 300A, Exterior Parking Camera Rear, Front dual zone A/C, Heated front seats, Power Liftgate. 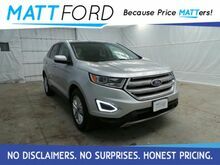 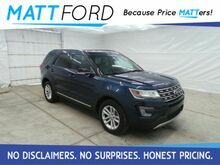 Get to Matt Ford Sales and make this One Owner 2015 Ford Edge SEL yours today. 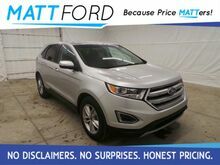 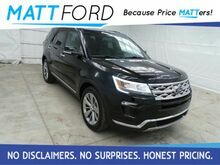 Get to Matt Ford Sales and make this True One Owner 2015 Ford Edge SEL yours today.